We are one of the first security companies to use Jungian Profiling in our recruitment process. Find out how many Criminal Offences occur in your Company's area. 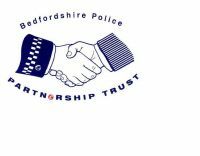 As well as dates and times for local Police meets. CONGRATULATIONS to Mohammed Azad for successfully completing his CCTV course. Our professional and friendly trainers, are happy to run in-house courses at your location for small groups. We bring everything with us needed to run the course, you simply need to provide the delegates and a venue. Group bookings for 6 or more are available on demand at our Luton centre or at your premises nationally. Please contact us for a quote and availabilty. Saturday 1st September, our officers provided security for the Luton Strong Man Charity Event held at Stockwood Park Athletics Track. All seemed to enjoy the day especially as the sun shone for the entire event. Well done guys and a big thank you. '...committed to act in a Socially Responsible way'. 'Supporting a number of charitable events and organisations'.